Search for Wall Condos For Sale. Wall condos for sale can be found in six condo communities. In the Wall condos, you’ll find homes that have between one and four bedrooms. Many of the Wall condos have a garage, in addition to a basement. You can find single floor units available, as well as townhouses that have two or more stories. According to the 2010 Census, the township’s population was 26,164. Also, there were 10,051 households in Wall. The Census reported that the median household income was $89,278. The commuters in Wall appreciate the are because New Jersey Transit provides rail service to residents of Wall and surrounding towns. 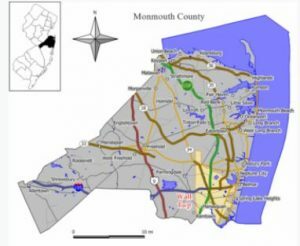 And the train stations offering access to the North Jersey Coast Line are located in Belmar and also in Spring Lake and Manasquan stations. In fact, it’s a little over one hour to Manhattan from these stations. New Jersey Transit also offers bus service to Philadelphia. When students from Wall begin school they will attend the Wall Township Public Schools. The school system educates students in kindergarten through twelfth grade. When a student enters high school they will attend Wall High School. Furthermore, the school system has a student population of about 4,000 students. Students who will be attending high school can also attend one of the schools in the Monmouth County Vocational School District. These high schools offer an educations centered around specialties such as computer science, biotechnology, Health and more, in addition to many of the building trades.